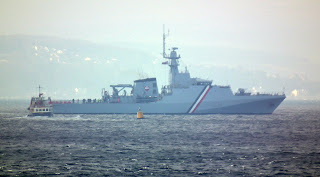 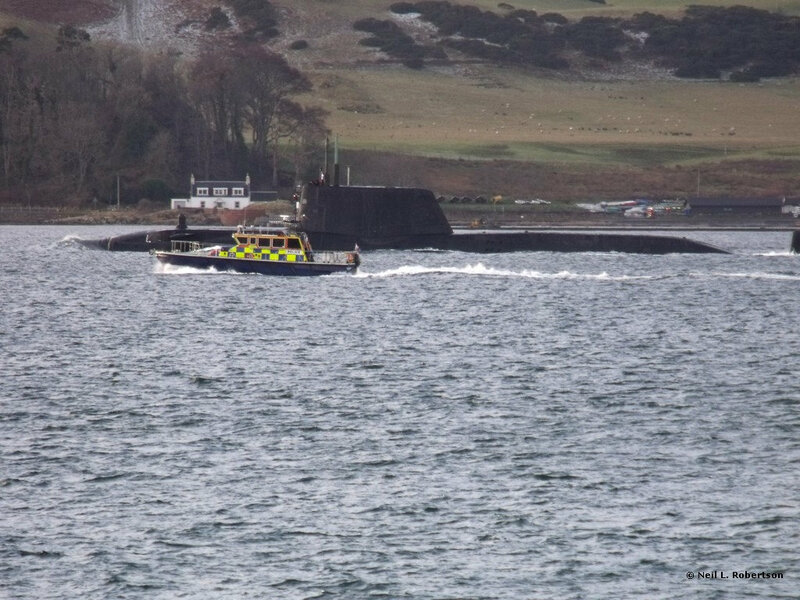 The troubled HMS Astute was spotted outbound 09 December and inbound 10 December by ClydeNavalGazing correspondent Neil L Robertson. 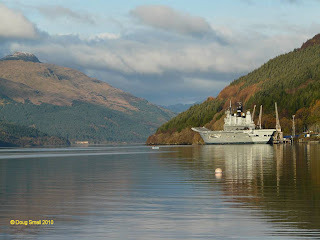 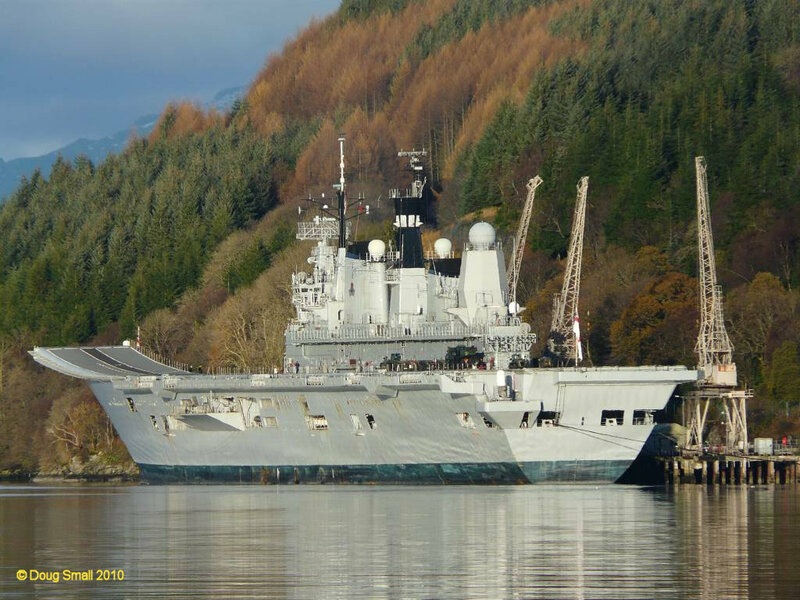 The last visit of Ark Royal to the Clyde was captured by ClydeNavalGazing correspondent Doug Small, Langbank. 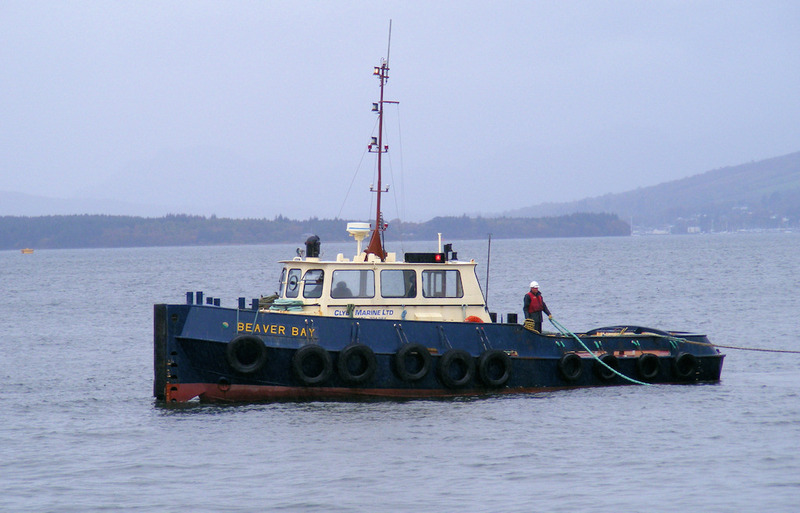 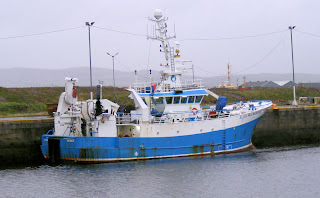 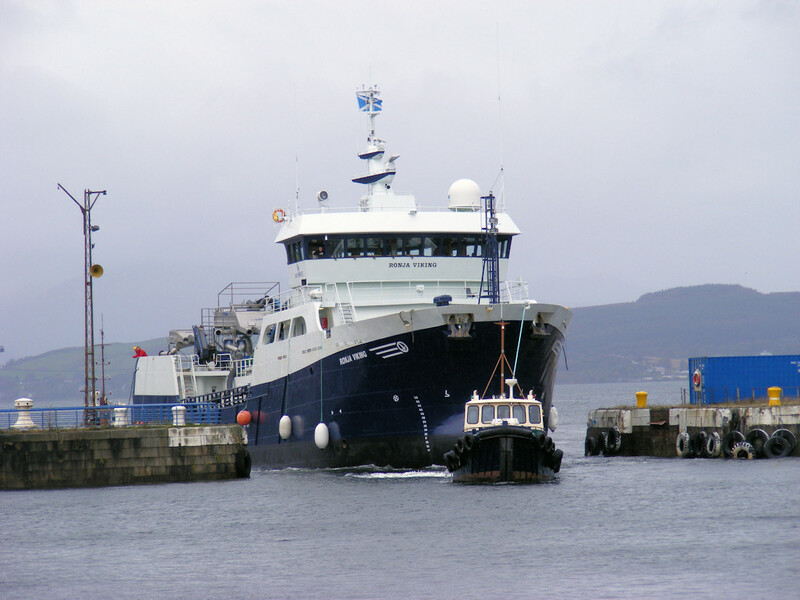 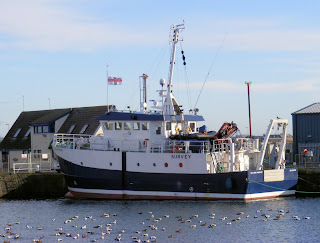 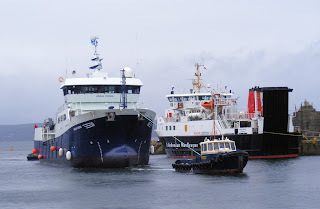 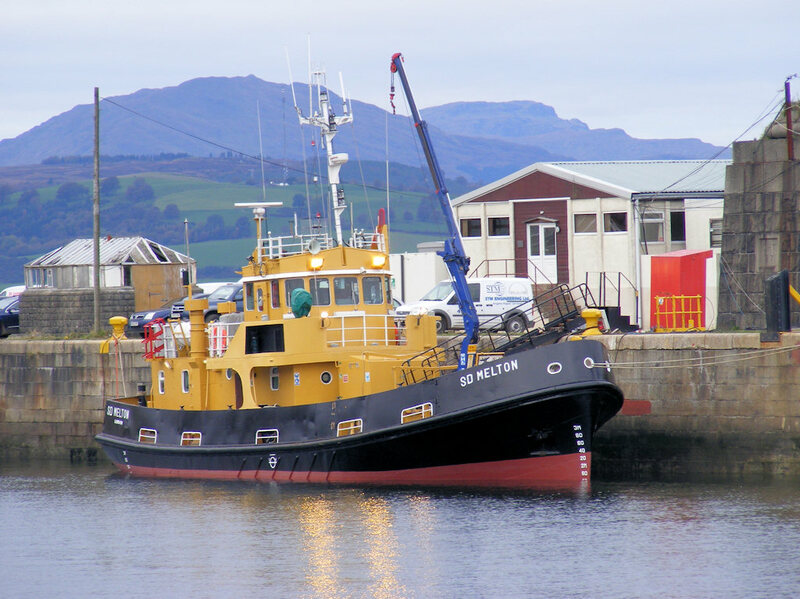 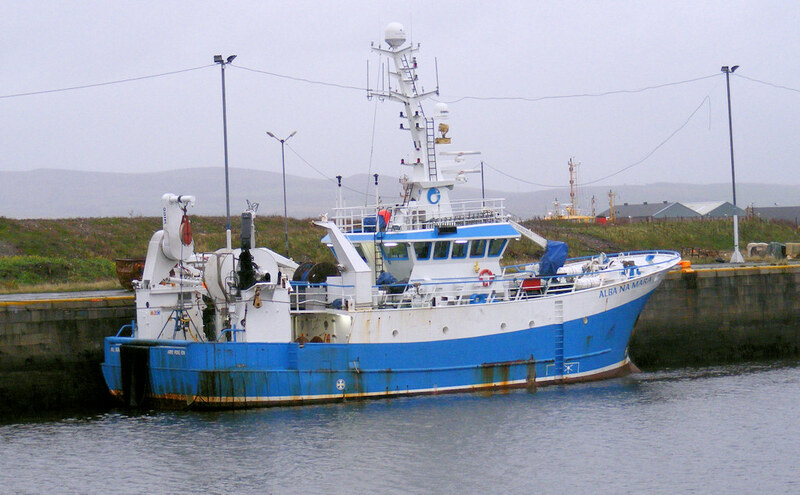 SEPA's scientific survey vessel Sir John Murray in Troon Harbour 24 November 2010. 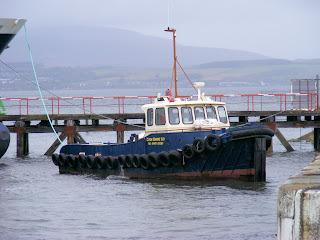 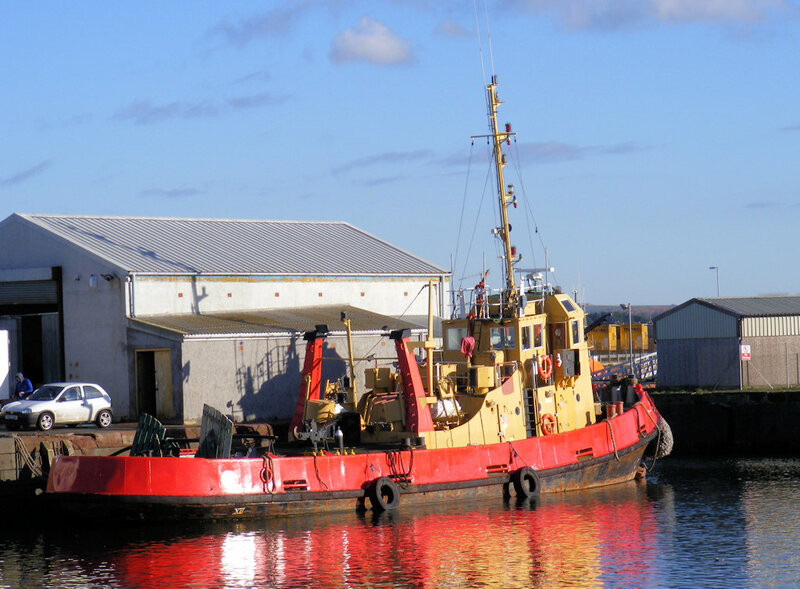 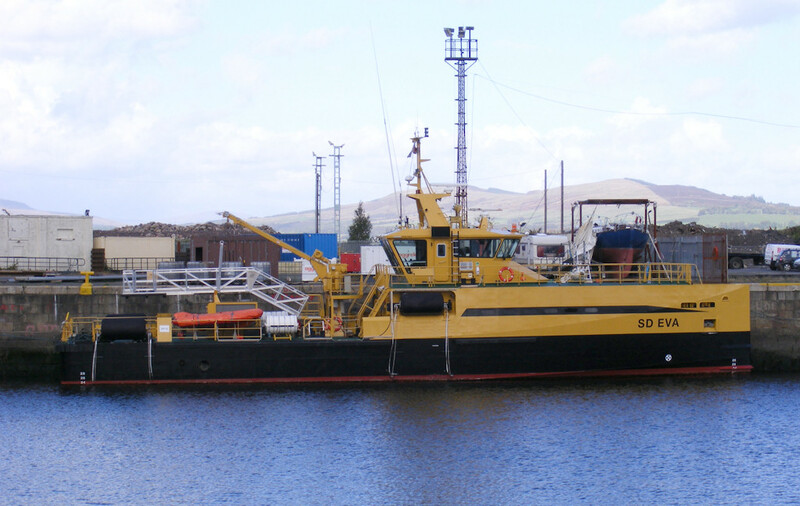 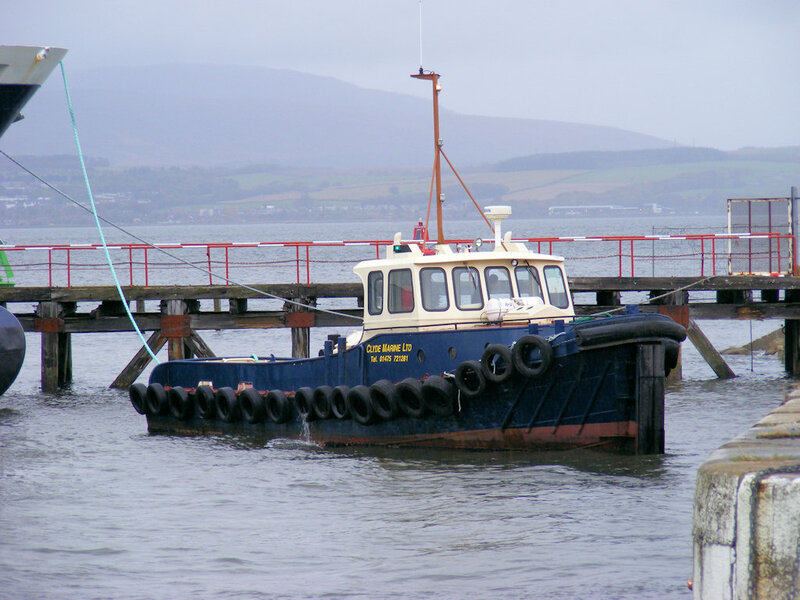 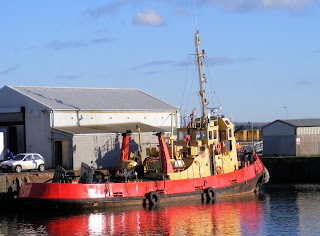 Troon Tug Co. Ltd.'s Red Finess (ex SD Spaniel) in Troon Harbour 10 November 2010. 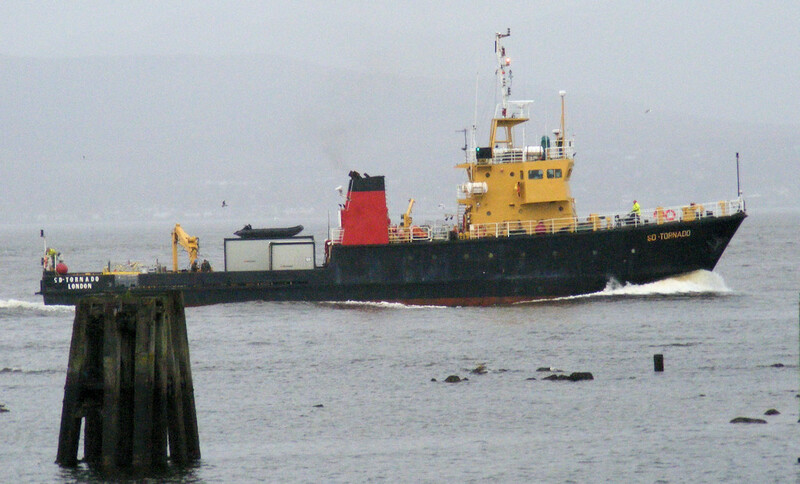 Coaster Kaami loading at Hunterston 24 November 2010. 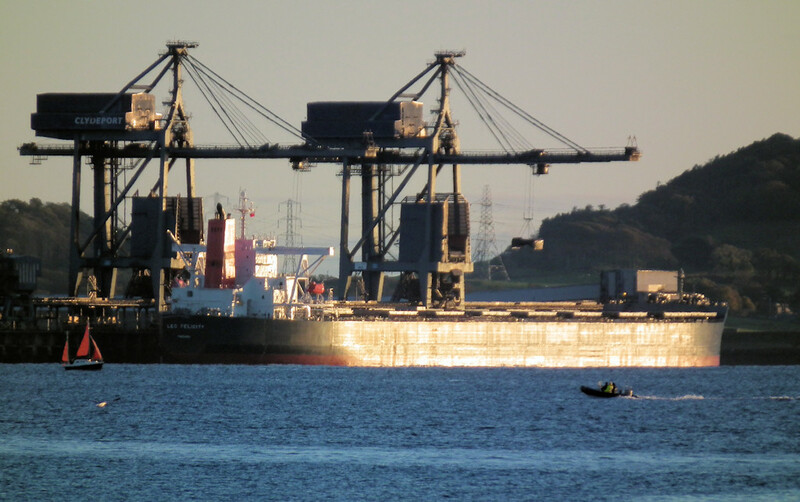 Unusually, on completion she then headed upstream, coals to Glasgow? 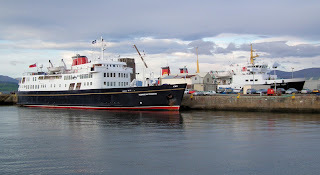 Hebridean Princess laid up for the winter in JWD, with Hebridean Isles in the Garvel 21 November 2010. 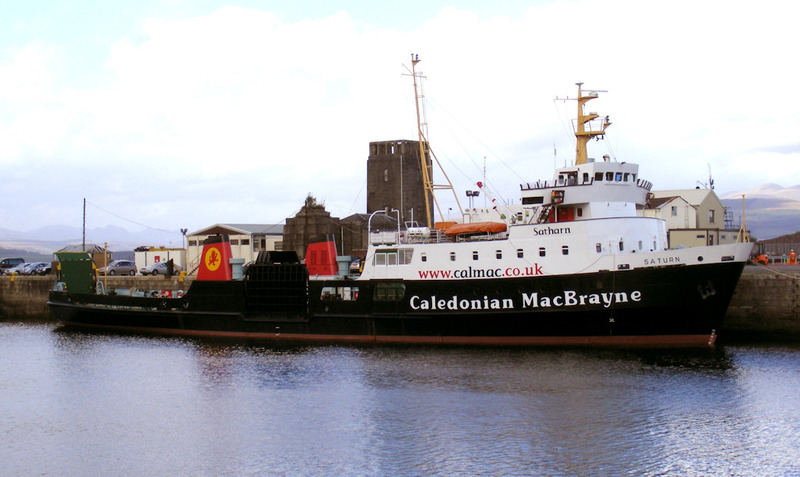 Caledonian Macbrayne's Loch Dunvegan completing annual maintenance in JWD 21 November 2010. It seems that the recent foul weather has delayed the painting of her car deck (completed now!). 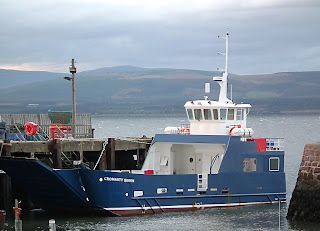 The new Cromarty - Nigg ferry Cromarty Queen in Cromarty Harbour 19 November 2010. 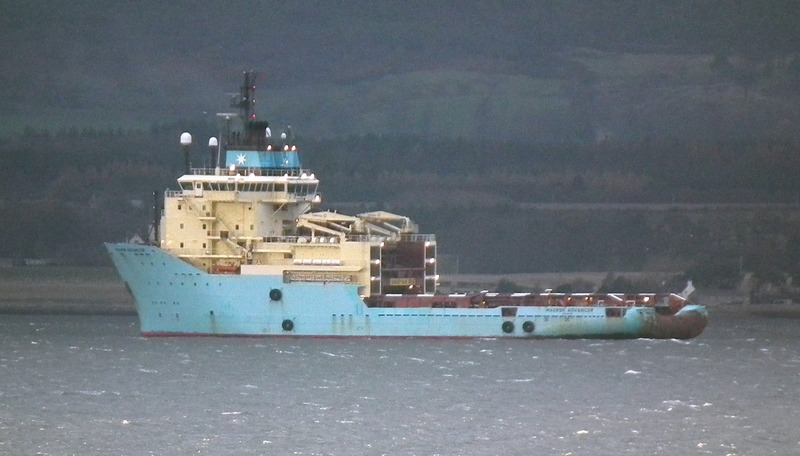 Offshore tug Maersk Advancer off Invergordon 19 November 2010. 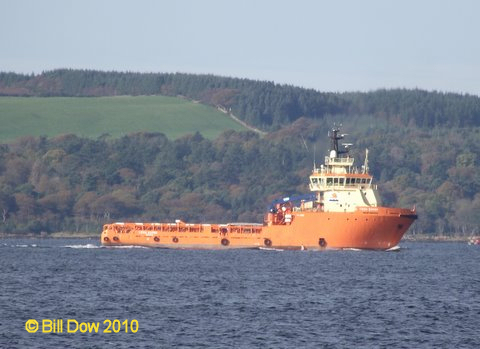 Offshore tug Maersk Dispatcher inbound for Invergordon 19 November 2010. 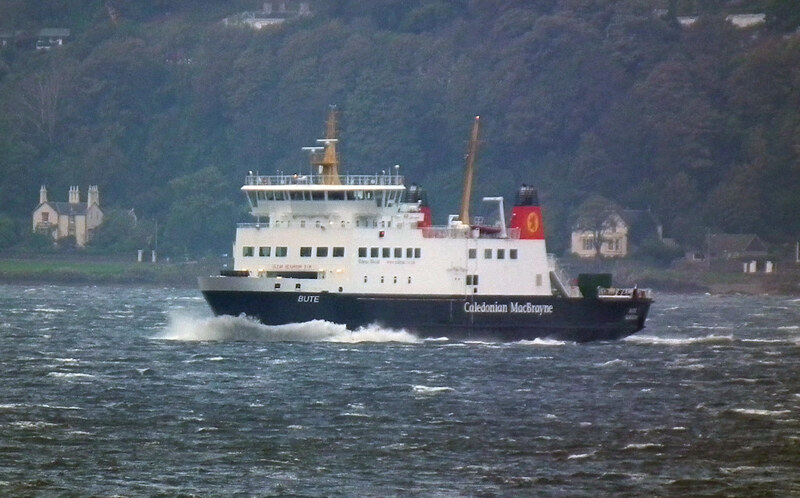 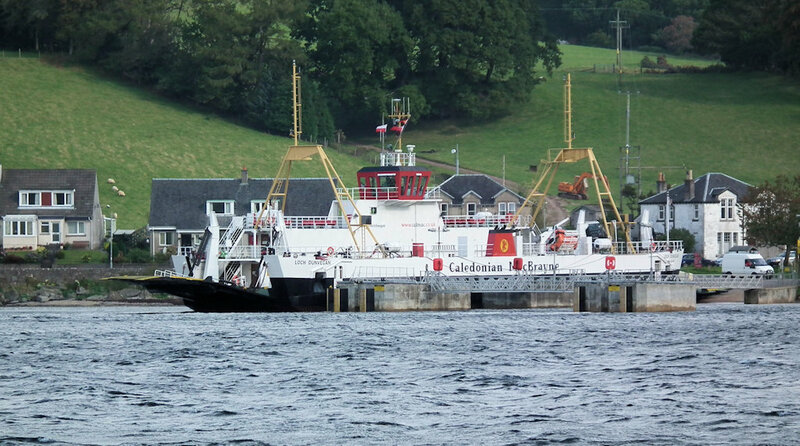 Caledonian Macbrayne's Loch Dunvegan at the Wires 07 November 2010. Container vessel Stadiongracht unloading at GOT 07 November 2010. 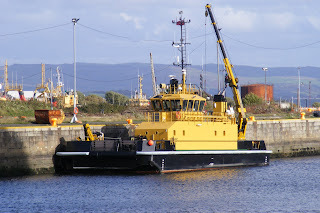 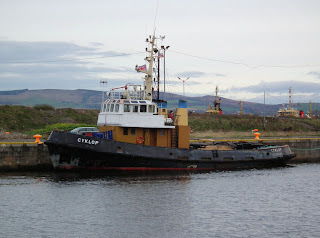 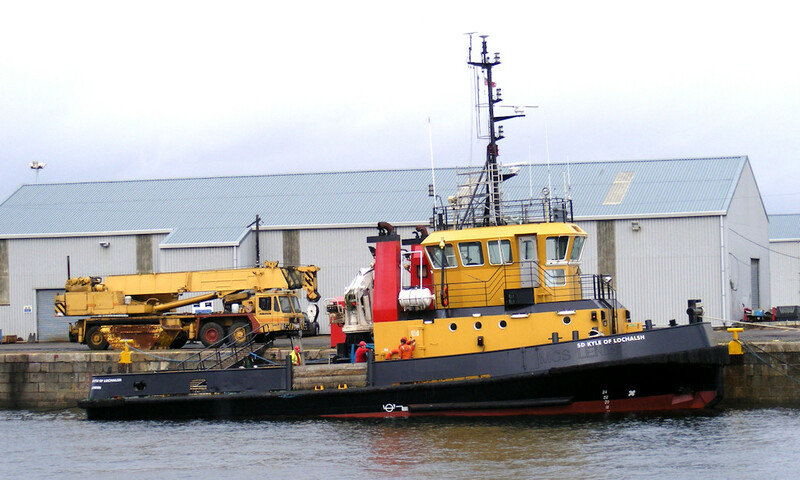 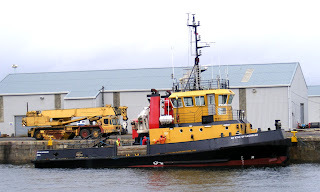 Tug Cyklop lying in JWD 07 November 2010. 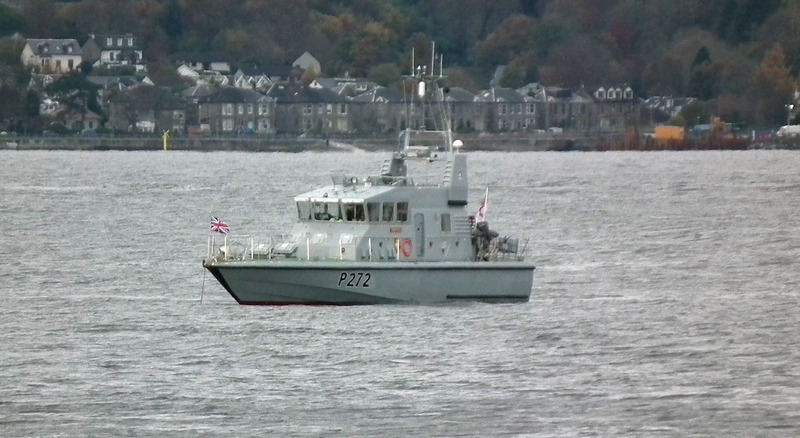 Glasgow's Universities Squadron "Archer" Class patrol vessel HMS Smiter lying with the hook down off Kip 07 November 2010. 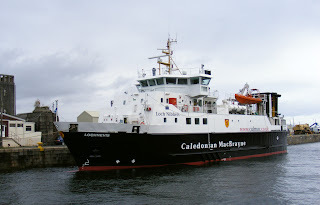 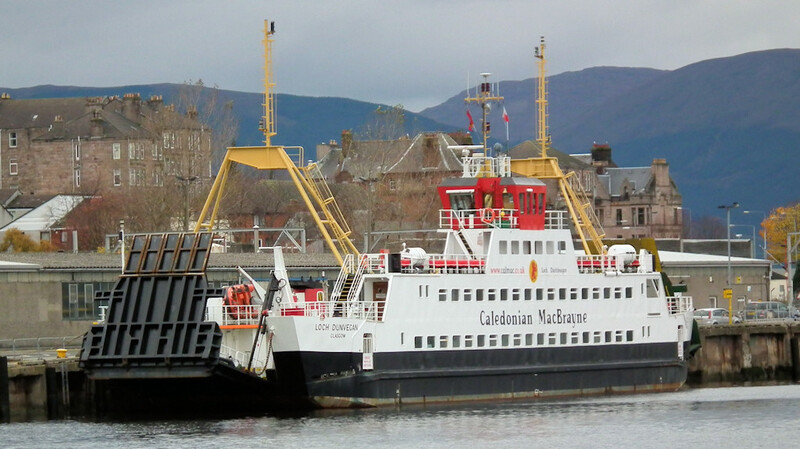 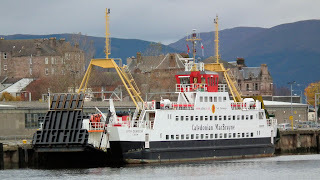 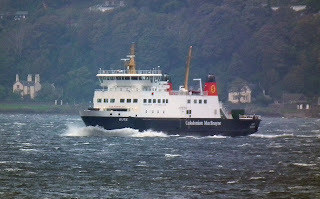 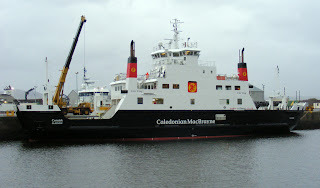 Caledonian Macbrayne's Coruisk completing overhaul in JWD 04 November 2010. Fisheries Research vessel Alba Na Mara in JWD 04 November 2010. 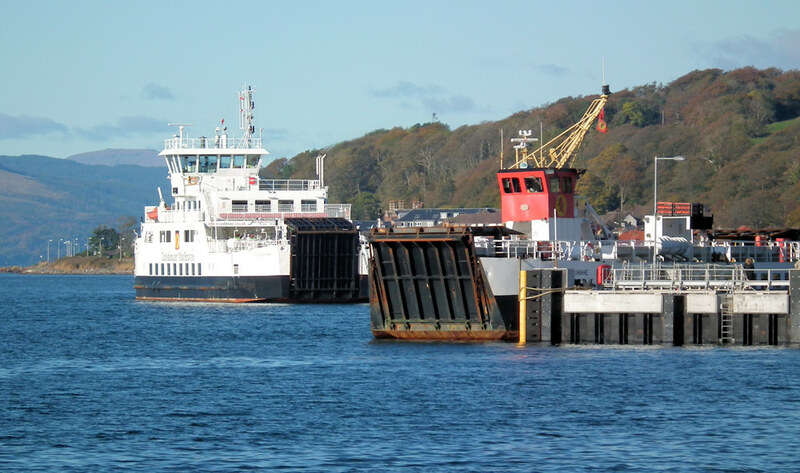 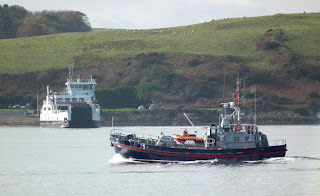 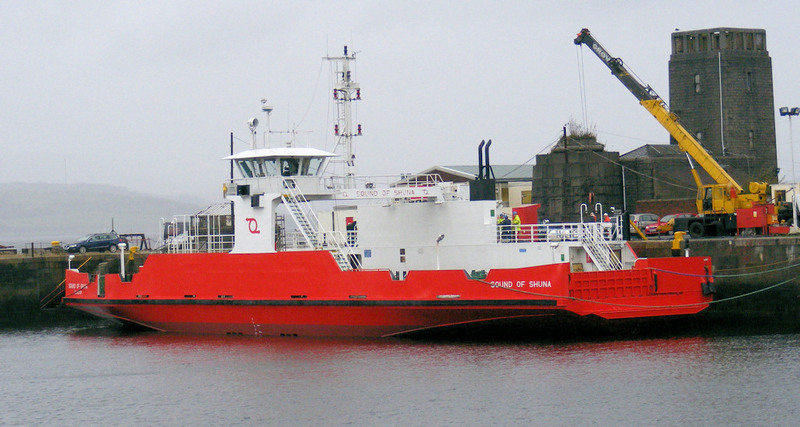 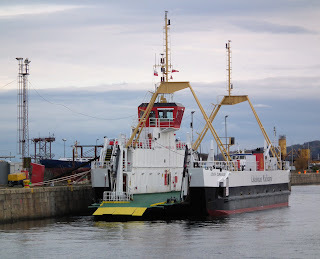 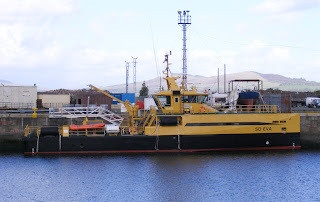 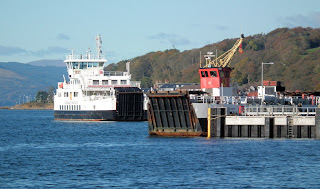 Western Ferries' Sound of Shuna in JWD 04 November 2010. 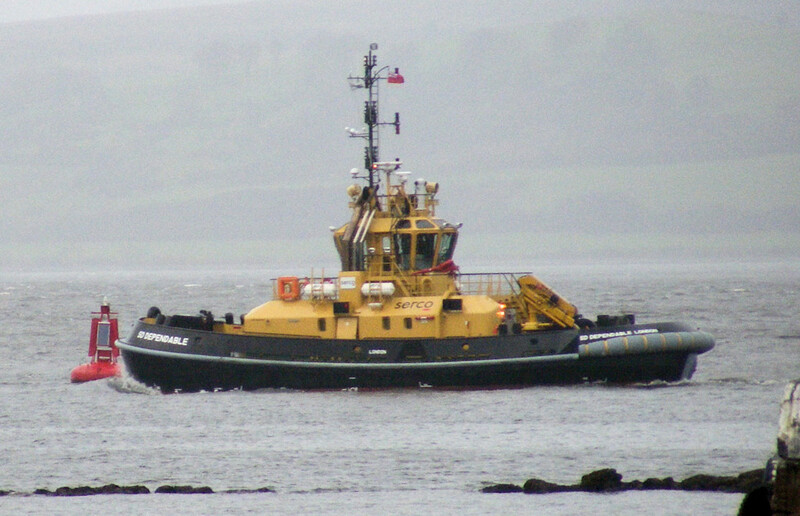 SD Dependable off Garvel 04 November 2010. 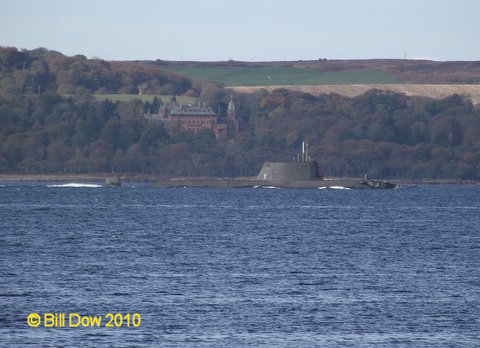 SD Tornado off Garvel 04 November 2010. 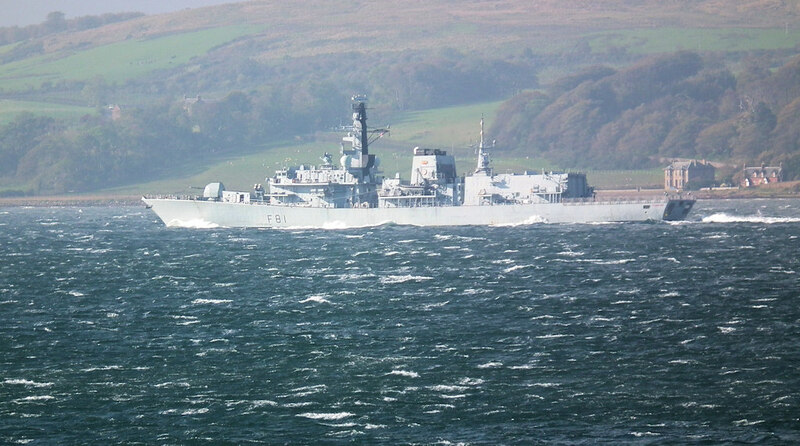 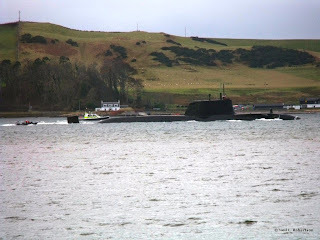 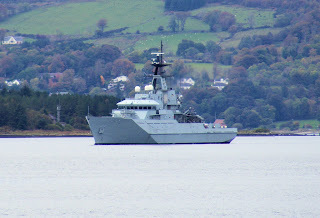 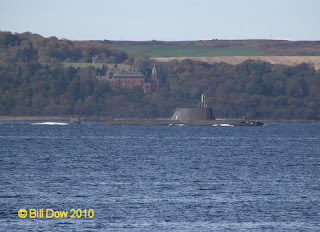 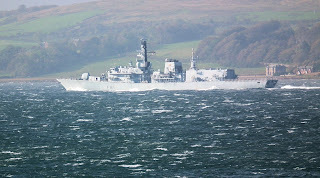 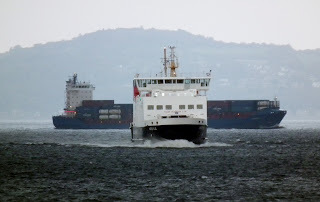 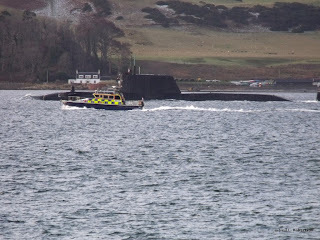 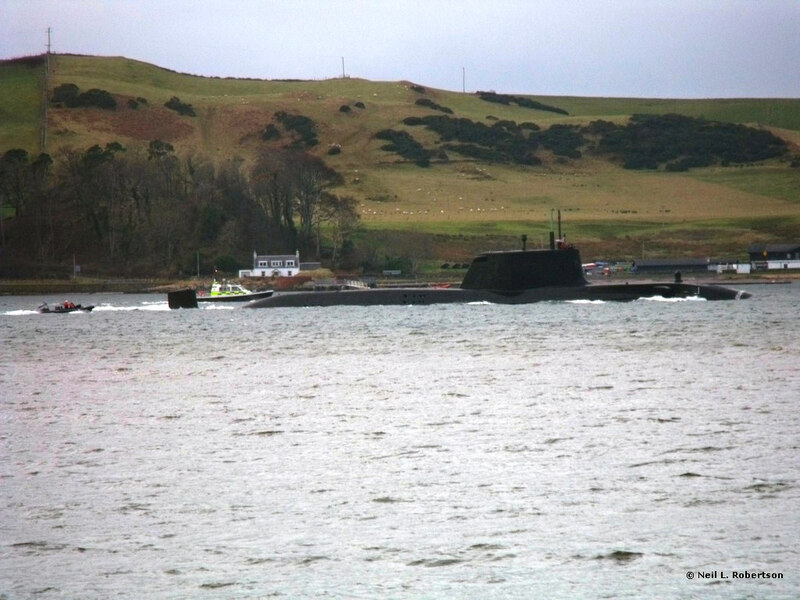 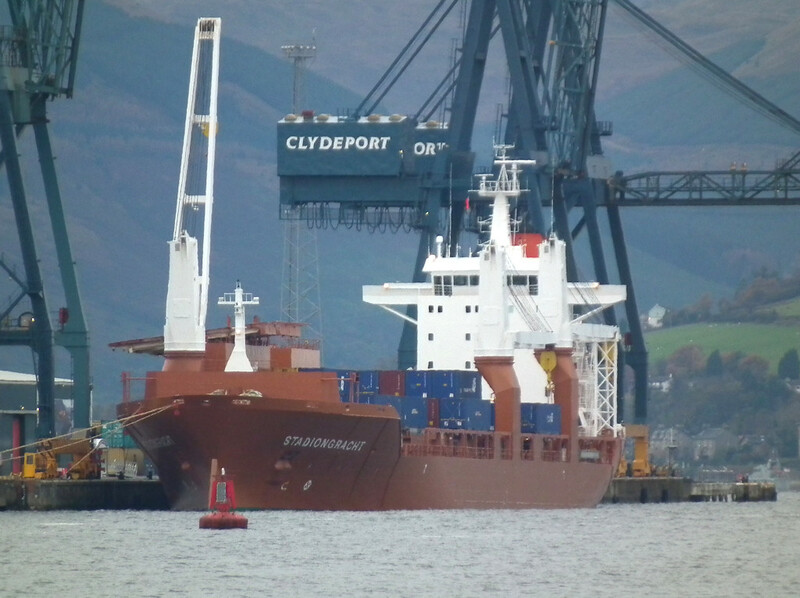 Astute's return to the Clyde was observed by ClydeNavalGazing correspondent Bill Dow. 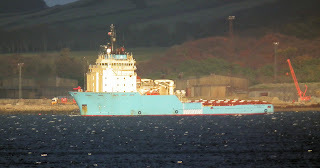 Container vessel Maersk Maryland lying off Largs 31 October 2010. Grace Ritchie looks in great nick 31 October 2010. 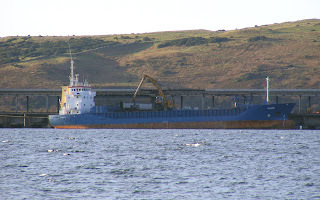 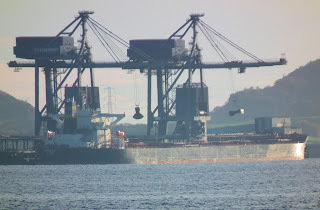 Bulk carrier Manasota unloading at Hunterston 31 October 2010. 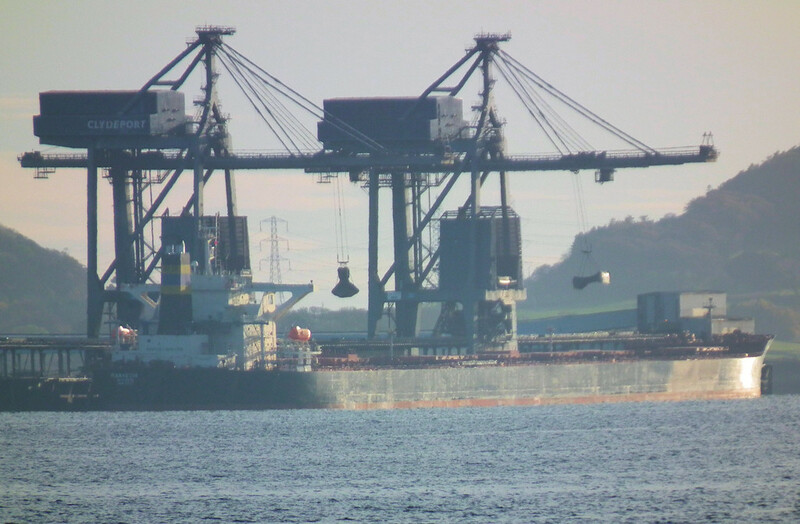 Bulk carrier Leo Felicity unloading at Hunterston in the autumn sunshine 24 October 2010. Caledonian Macbrayne's Loch Linnhe lying at Largs waiting for annual overhaul at Ardmaleish 24 October 2010. 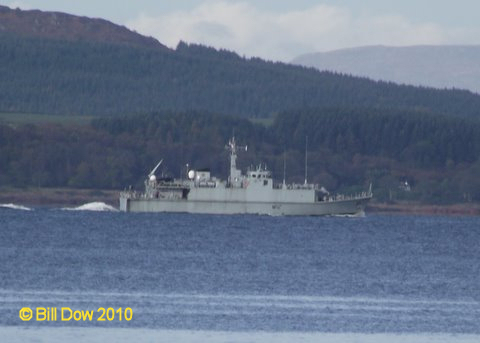 Live fish carrier Ronja Viking was assisted from the Garvel back into JWD 22 October 2010. 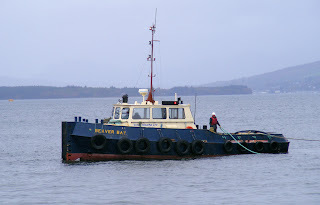 Beaver Bay and Boojum Bay assisting Ronja Viking from the Garvel 22 October 2010. 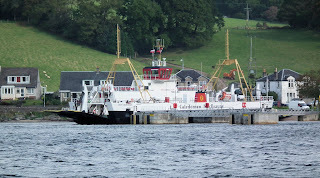 Caledonian Macbrayne's Loch Nevis fresh from the Garvel lying in JWD 22 October 2010. 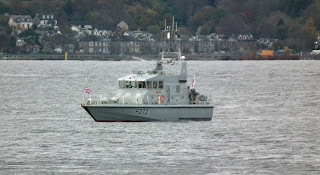 Patrol vessel Scarborough (CG51) built by BAE for Trinidad and Tobago receives personnel from Cruiser before leaving for Portsmouth 08 October 2010. 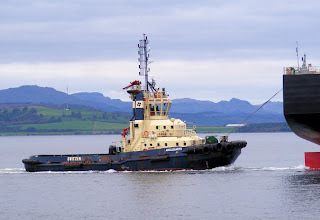 Svitzer tug Anglegarth inbound (attached!) 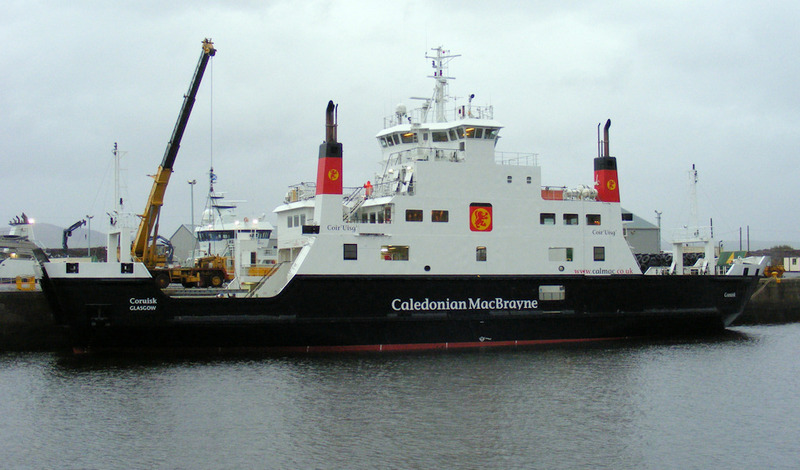 14 October 2010. 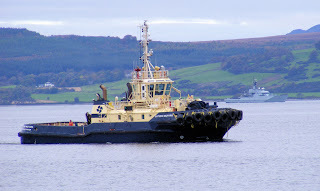 Svitzer tug Ayton Cross heads upriver 14 October 2010. 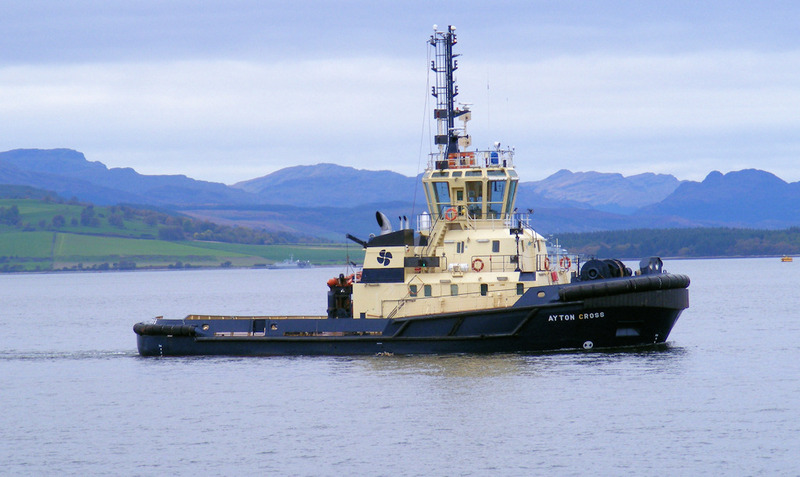 Svitzer tug Svitzer Milford heading upriver 14 October 2010. 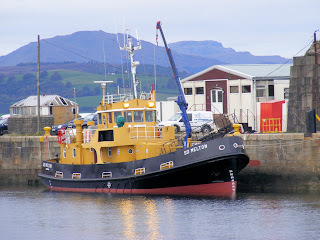 Fleet tender SD Melton lying in JWD 14 October 2010. Last seen 13 May 2008.